Sometimes, depending on the condition, you might not need to swap out your cast iron piping for PVC (Polyvinyl Chloride) or other options. After all, cast iron piping can last for up to 80-100 years, depending on the water. Always have a professional plumber inspect the home before making your decision. A professional plumber can give you definite information about the piping’s performance. 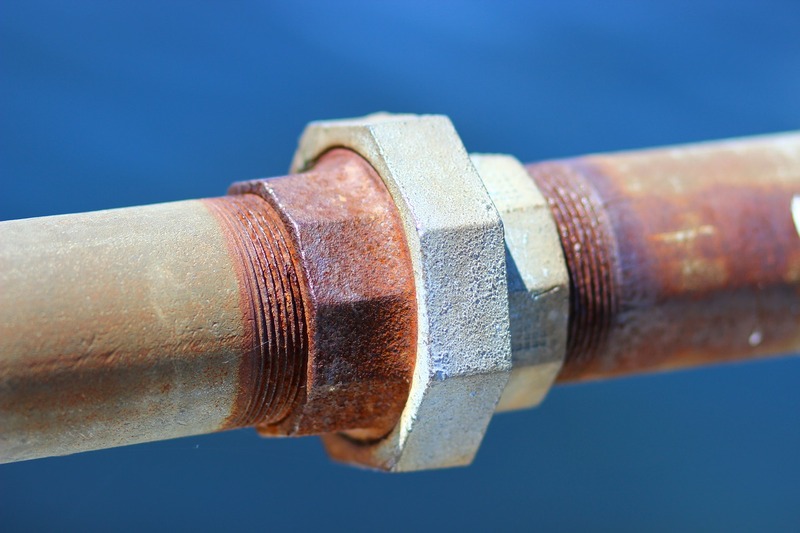 One of the most frequent signs that cast iron piping needs updating would be leaks, because this happens when the pipes have been damaged or corroded. When running your water, do you occasionally see brown or yellow colored water? If you live in a suburban or urban area, discolored water is often a sign of corrosion, rust, and vulnerability. If you see discoloration, you need replacement pipes. If you often experience slow draining or backups, it may be indicating a problem with the cast iron pipes. Don’t use any cleaning products that contains sulfuric acid, as this can damage the pipes and make matters worse. If you smell sewer gas or other noxious fumes, don’t rule out a crack in the cast iron pipes. Call a plumber to have them investigate. Cracked and corroded cast iron piping creates the perfect environment for mold to grow in the basement. Finding puddles is most definitely a sign of corroded pipes. 99% of time, the leak is stemming right from the pipe it is under. While cracks may certainly form in the pipes, cracks in the foundation of your home may also be a sign of an undetected plumbing problem. Spotting cracks around the base of your residence, along with other signs of piping problems, shouldn’t be ignored. Whether you are looking to modernize your home with new cast iron or want to swap to PVC, replacing old cast iron plumbing is actually quite simple. Have a professional plumber either add new branches and section as needed or use stainless steel no-hub clamps that help form leak-proof connections between cast iron piping and PVC ones. Unless you spot a problem, like corrosion, there’s no need for a complete overhaul. If you have spotted signs of corroded cast iron piping in your home, you shouldn’t wait to replace the worn down pieces immediately. Cast iron piping is built to last a lifetime, but sometimes it can erode and age rapidly depending on the conditions of the soil and the water running through. Be sure to have your pipes inspected regularly to tackle any issues before they become a much larger problem.